NEW YORK -- Plaintiffs' lawyers will seek up to $332.5 million in fees and costs for their work in a $10 billion settlement over claims Volkswagen Group outfitted vehicles with software to cheat on emissions testing, according to a court filing. The filing late on Wednesday in a U.S. District Court in California said Volkswagen and the plaintiffs' lawyers had not yet agreed on how much the attorneys will be paid for their work. Volkswagen has agreed to pay reasonable costs and fees in connection with the settlement announced in June, which covers vehicles with 2.0-liter engines. In the filing, plaintiffs' lawyers said they will request no more than $324 million in fees and up to $8.5 million to cover other legal costs, for a total of $332.5 million. The lead lawyer, Elizabeth Cabraser, said the amount was far less than the "judicially established benchmark" for class actions of approximately 25 percent of the settlement amount. She noted that various media reports had speculated the fee request could be as high as $3.5 billion. "But this is not an ordinary case, this is not an ordinary settlement, and this will not be an ordinary fee request," the filing said. A final fee request will require approval from the judge overseeing the litigation. Any fee amount will be paid separately by Volkswagen, and not deducted from the settlement fund, according to court filings. 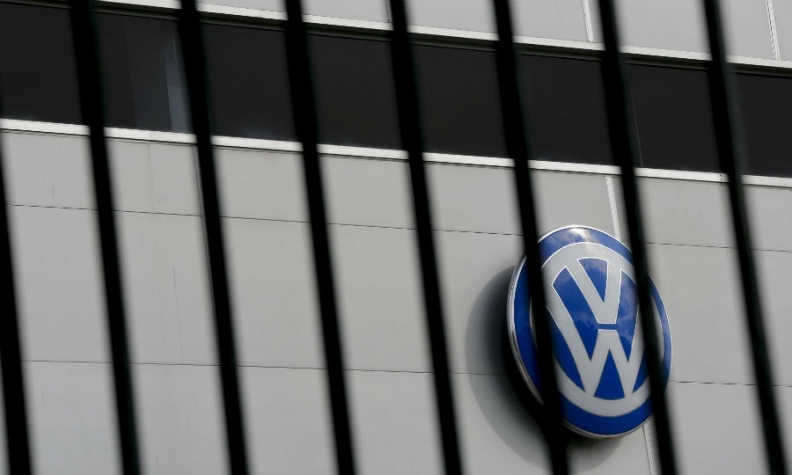 Volkswagen spokeswoman Jeannine Ginivan said the automaker "is prepared to pay attorneys' fees that reasonably reflect the work the Plaintiffs' Steering Committee has undertaken in connection with the 2.0- liter TDI settlement program. Ultimately, it will be for the Court to decide what is reasonable." A hearing on final approval of the settlement is set for Oct. 18. The settlement stems from litigation that hit the German automaker following its admission last year that it had intentionally misled regulators by installing secret software that allowed U.S. vehicles to emit up to 40 times legally allowable pollution. Under the deal, which received preliminary court approval last month, owners of up to 475,000 vehicles will be eligible for buy-backs, lease termination and other cash compensation. Volkswagen also agreed to pay an additional $4.7 billion for environmental remediation and promoting emission-free vehicle technology. The deal does not cover similar claims over approximately 85,000 vehicles with 3.0-liter engines, which have not yet been resolved.